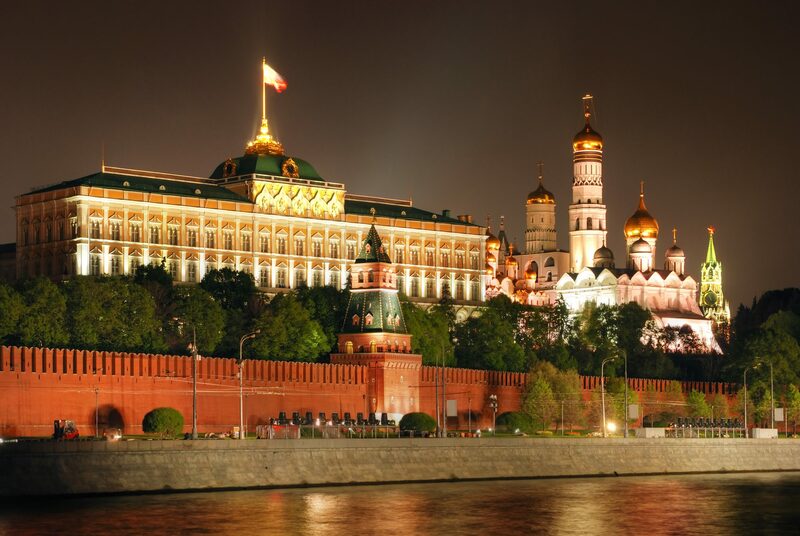 Explore the political and economic capital of the Russian Federation on this 4 day package. See the major sights and monumental architecture that Moscow is famous for and experience life as a Muscovite as you travel the city’s metro system. Day 1: Airport transfer and hotel check-in. A longer stay in Moscow allows you to get a more in depth feel for this thriving metropolis and to experience the town of Sergiev Posad along the Golden Ring. Also included is an evening visit to the famous Nikulin Circus which has been entertaining people for over 120 years. * From prices are per person in AUD, based on twin share in low season. These tours are privately guided. Departure times can be scheduled to suit your requirements. Prices are based on minimum 2 people. A comprehensive tour of the Russian capital. Highlights include Red Square, Kremlin, St. Basil’s Cathedral, KGB Building, Bolshoi Theatre and a visit to historic Novodevichy Convent. A complete city tour featuring all the major highlights plus a visit to Moscow’s most famous building, the ornately designed St. Basil’s Cathedral located right on Red Square. Combine a comprehensive tour of the Russian capital, Red Square, the Kremlin and more, together with a visit to historic Novodevichy Convent and the iconic St. Basil’s Cathedral. Combine a full city tour with historic Novodevichy Convent, the iconic oniondomed St. Basil’s Cathedral on Red Square and the recently rebuilt Cathedral of Christ Our Saviour. Take a tour inside the walls of the Kremlin, a potent symbol of Russian power. See the Assumption Cathedral and visit the Armoury Museum, the treasury of the czars. Tour does not include hotel transfers. 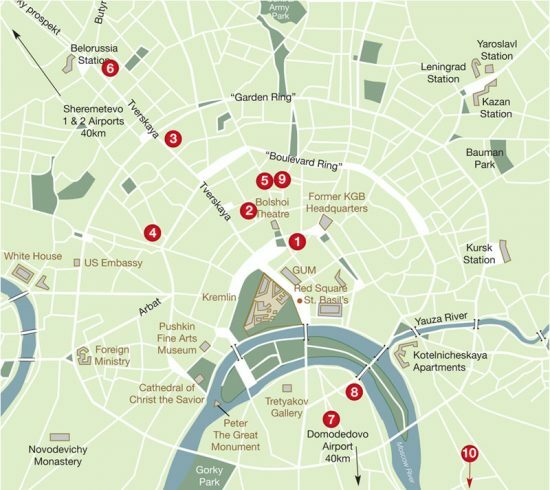 A tour of the Kremlin grounds with more time spent in the Armoury Museum and the State Diamond Fund, which houses the most valuable jewels of Russia including the Orlov Diamond. Tour does not include hotel transfers. Discover the grandeur of the station of Moscow’s metro system before visiting the pedestrian Arbat St. renowned for its artistic atmosphere. Combine a tour of the grand stations of the Moscow Metro with a chance to step back in time to the height of the Cold War on a visit to Bunker 42, a former nuclear bunker 65 metres below the streets of Moscow. An outstanding art museum which houses the world’s finest collection of Russian art including icons and pre-revolutionary paintings. Also see the restored church of St. Nicholas. Tour does not include hotel transfers. Visit the historic monastery town of Sergiev Posad, the “Vatican” of the Russian Orthodox Church, founded in 1340, and one of the most important spiritual centres of Russia. Spend an enjoyable evening at one of Russia’s oldest circuses, established in 1880, and be entertained by the clowns, acrobats and other amazing performers. One of the oldest and most refined hotels in Moscow, ideally located opposite the Bolshoi Theatre and steps away from Red Square. Rooms feature Art Nouveau styling and large windows. A grand international hotel with elegant interiors and featuring a butler service to every room. Located in the heart of Moscow, walking distance to Red Square and the Kremlin. Housed in a renovated 19th century mansion this first class property offer classically furnished interiors and a central location within walking distance to Red Square. Spacious, contemporary studios and apartments just 2 metro stops from Red Square. All modern conveniences are provided including kitchen facilities. A modern design hotel with spacious, light-filled rooms. Situated in a prestigious and historical area of Moscow, 20 minutes walk from Red Square. A traditional hotel with tastefully decorated rooms. Ideally located a short walk to Red Square, Kremlin and the Bolshoi Theatre. Brand new, quality tourist class option centrally located above a metro station just 3 stops (7-8 minutes) from Red Square. All rooms feature modern décor and conveniences. *From prices are per person per night in AUD, based on twin share in low season, and include breakfast and taxes. Many more hotels available, many with instant confirmation. Contact Beyond Travel for details and prices.